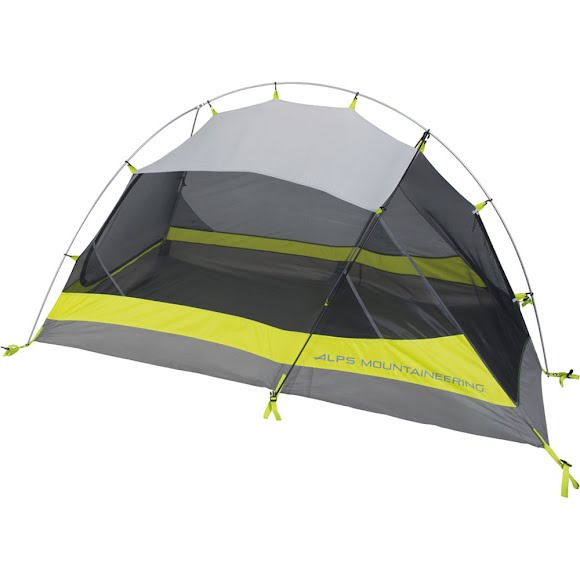 Alps Mountaineering developed the Hydrus 2 Tent with large, no-see-um mesh panels that allow for excellent ventilation and maximum star-gazing. A weatherproof fly buckles on for maximum adjustability and protection while the vestibule pole placement allows for maximum usable space, creating an expansive storage area. Stuffed Size 7" x 23"